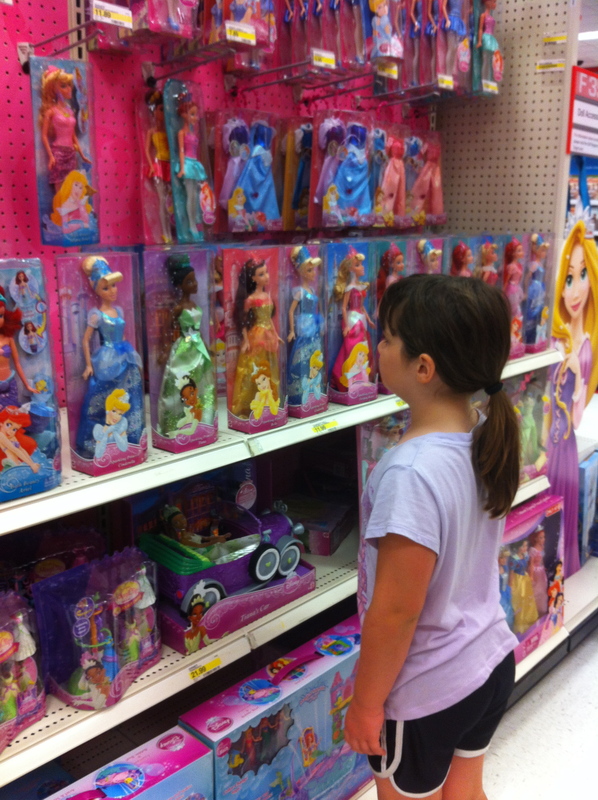 Today’s podcast in Gender and Media Talk focuses on the research of Dr. Elizabeth Sweet, who studies gendered toy packaging and how it both effects and reflects gender roles in society. This podcast was recorded on April 3, 2015. If you watch Saturday morning commercials or other advertisements directed toward children, you’ll see a very gendered approach to marketing toys. Even in toy stores, toys are clearly delineated into blue and pink sections. What about toys that both boys and girls like to play with, like LEGO, Lincoln Logs, and other building and craft making equipment? These toys are often in the boy aisle. When we do see those products in the “girl” section, they are marketed in a distinctly different way. For example, consider the LEGO Friends Line. In this article in Bloomberg Businessweek, it is clear that LEGO has done exhaustive work trying to understand what has kept girls from playing with them before and what would make LEGO more attractive to girls. As my friend, Michele, from Princess Free Zone made clear in her excellent post on this topic, perhaps girls don’t see LEGO as attractive because since 2005, as stated in the Business Week article, the company has been aiming straight at boys. But this type of gendered marketing is fairly new. As this LEGO ad from the 80’s shows, the company promoted the product to both girls and boys as fun building sets. I hope you’ll enjoy hearing her expand on her study of how toy ads have changed, what she thinks that means for children today, and some strategies for responding to gendered advertisements. I was wondering what is the catalog that was mentioned in the podcast? Thank you! I think it was Sears, but I’ll double check with Dr. Sweet. This entry was posted on April 11, 2015 by Jennifer Shewmaker in Podcasts: Gender and Media Talk and tagged Gender, gender and media talk, media, parenting, podcast.